“A thing that you see in my pictures is that I was not afraid to fall in love with these people.”-Annie Leibovitz – "Store up for yourselves treasures in Heaven, where moth and rust do not destroy, and where thieves do not break in and steal. For where your treasure is, there your heart will be also." Hi! My name is Cassandra or Cassie. I am 28 years old, mother of two girls, a boy, an angel baby.. and wife of one handsome husband. I have spent the past 11 years with my best friend, a (now) retired soldier, which is what brought me here to the beautiful state of North Carolina! I don’t know at what age I picked up my first camera, but I can’t remember a time I put it down. Whether it’s my phone, somebody else’s phone, or my beloved DSLR.. I hate missing a moment. This obsession may stem from some memory issues that I have, yet can not seem to remember to get my prescription filled to help. Haa! Quite the catch 22, eh? I guess that’s what really got me serious about photography though. When we had our first child I quickly learned what people mean when they advise you not to blink. These kiddos seem to be moving in super speed and I am a turtle on it’s back just trying to stretch my neck out far enough to catch a glimpse of which way they’re going. I started taking pictures with cell phones and cheap digital cameras and they were fine to share online to keep family up to date on our lives, but I also love walls filled with pictures and pixel-y cell phone pictures just don’t cut it! (I assume you agree, because.. well here we are) Skipping ahead, my husband started getting me the equipment I needed to take pictures of our family and I absolutely fell in love with this whole new world of taking a picture! He really has encouraged my dreams and pushed me to be where I am today, for which I am so grateful. I love what I do so much that my family got burnt out quickly and I needed to branch out and find other people to take pictures of. Along this journey I have come to learn that my passion is lifestyle and candid shots of any and all life’s precious moments. I love family portraits, but my very favorite pictures always end up being the ones I sneak in when the toddler toots and everybody is laughing together. The ones that really capture the whole person (or family) in front of my lens and not just the eyes, nose, smile, and clothes. I love to capture life happening and share a little of how I see the world. From weddings, babies, pets and parties to boudoir and even funerals.. every moment of our time here on Earth is precious and picture worthy and our stories are worthy of being told. Whether it’s peeking through the pictures of your first born’s first moments and those teeny tiny fingers and toes on graduation day, or looking back on the time you spent 5 years in the hospital on chemo, remembering your strength and perseverance.. I don’t believe anybody ever regrets pictures. Maybe the photographer they chose, but never the life moments documented. I have not had the opertunity to have Cassie take photos for me due to living on the other side of the country, but I have followed her page and enjoyed the photos she has taken of others ! I have not seen a ‘bad’ photo. They all look profesional, talented, and beautifully presented ! Even though I have not used her service, I know her well enough to say she will go above and beyond to make her customers happy, giving that extra personal touch that will make a difference in everything she produces. She loves what she does and it shows in her work ! 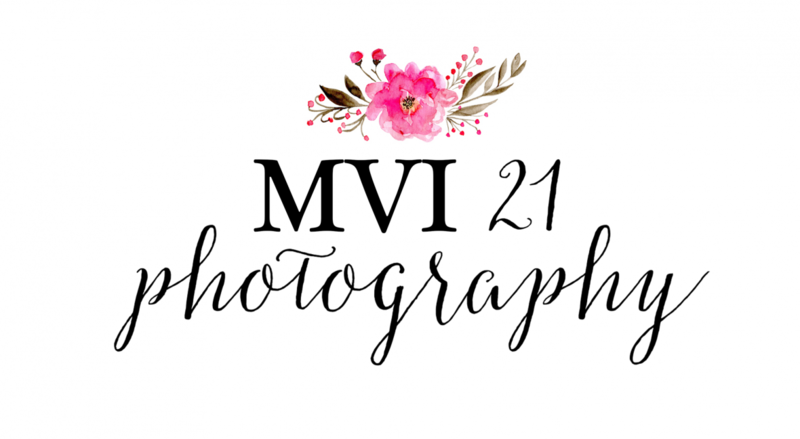 I would recommend MVI 21 PHOTOGRAPHY to any one who desires to create a beautiful memory through photographs ! Thank you so much for the kind words! Your encouragement has helped me so much since starting my journey last year. I appreciate it more than you know.